Brand new association – would you like to join? We Are Looking for 20 Charter Members. 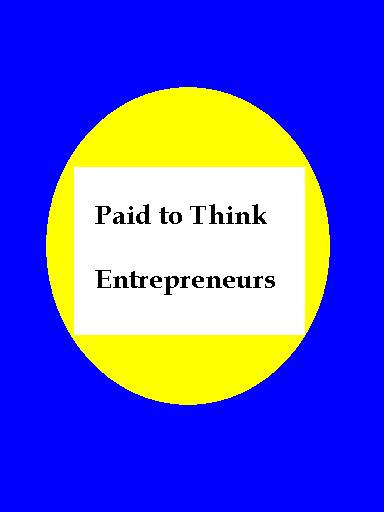 Paid To Think Entrepreneurs, is looking for 20 free charter members. These members will have access to a special promotional opportunity. Would you like to learn, share and make friends with other entrepreneurs, as well as give support to other members, find JV partners and learn more about marketing and promotional strategies, as well as take advantage of promotional opportunities? Want to Become a Charter Member? 20 charter members will get free lifetime membership and will benefit right away with our special promotion. Private Group Members Can Register Now! If you would like to be able to ask questions, get support, share business ideas and learn more – then this will be an exciting group to belong to. If the 20 Free Charter Memberships are takenyou can sign up here! If you’re starting business, or you have an established one, you can never have too much promotion. As we move ahead there will be many challenges and these challenges will be easier with group support. If you have been reading Paid To Think Business Magazine we have brought this to your attention. One of the biggest tsunamis is going to hit in 2014 and many will be swamped. It’s going to be a different game from now on and it’s important to know you have someone that wants to share and support you when you have challenges, or want to ask questions. There is always a market and there will always be people buying and selling. There will be great opportunities as we go and always lots to learn. It helps to be able to profit from the collective wisdom of a group of like-minded individuals who are trying things out. You may discover that you are not in the right business for this coming economic cycle. Do you know whether you can survive in your business? Do you know you will have an even bigger marketing job ahead of you? Who Would Benefit From the Association? We are looking for writers, people selling services, marketers, coaches and experts. It doesn’t matter what your business really is, as long as you have one. Would you like to be one of 20 entrepreneurs who get publicity, promotion and free list building opportunities? Paid To Think Business Magazine is looking for 20 entrepreneurs who would like to be featured in a special edition of the digital magazine on iTunes. If you have been looking for promotional opportunities for your business then you are in luck! with Subject: “Paid To Think Entrepreneurs”. Want Exposure and Promotion for Your Business? There are many opportunities for our subscribers to get involved in a home business. If you have a business then you’ll be glad to know, the magazine offers subscribers the opportunity to start something new, by presenting you with ideas or…to promote an existing business. If you do not have a way of promoting your business then you have not seen our digital magazine. You can create your own special feature article, in our future special magazine edition, called,“Paid To Think Entrepreneurs”. We will talk more about the private entrepreneurs group soon! We will then discuss ideas and possible content for this special edition. You can become a writer for the magazine and add your article each month, if you like, with a link back to your business. By contributing to the magazine you get free promotion. We can discuss the content when you decide to take up this offer. We know that if things turn for the worst you need insurance and building your income streams is how to protect your lifestyle! Our new theme is “promotion”. Register now at NO Cost for 18 hrs of training streamed live to you!